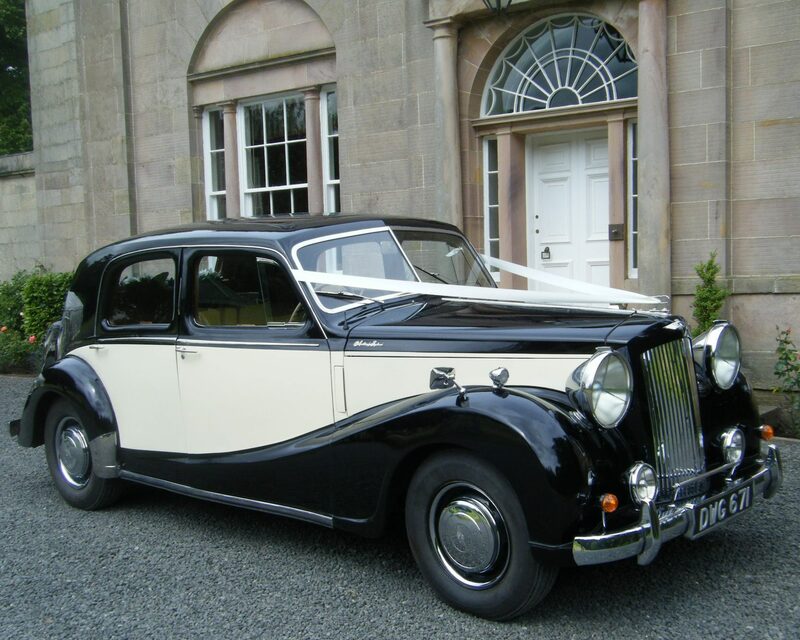 We are delighted to introduce our 1951 Austin A.125 Sheerline Limousine named Rose. 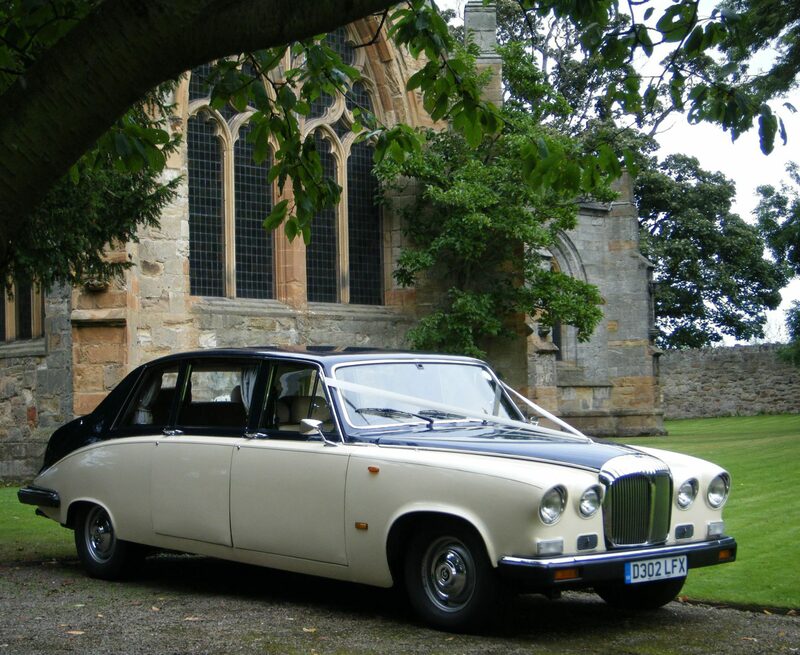 With only 15 known examples left worldwide we are the only company offering a choice of these cars for wedding hire. The Sheerline Limousine has a luxurious interior with extensive mahogany and burr walnut fittings, matching pile carpets, large comfortable seats and a central glass division. The impressive front view is dominated by the Lucas P100 headlights and the imposing chrome radiator. If required Rose can accommodate up to 7 passengers all forward facing. 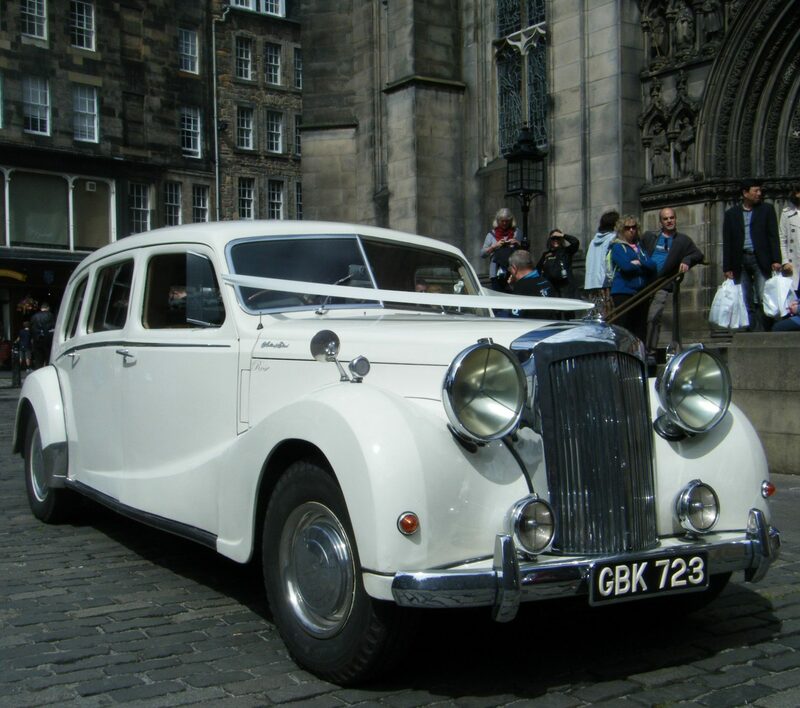 We are delighted to introduce our 1952 Austin A.125 Sheerline Limousine named Olive. 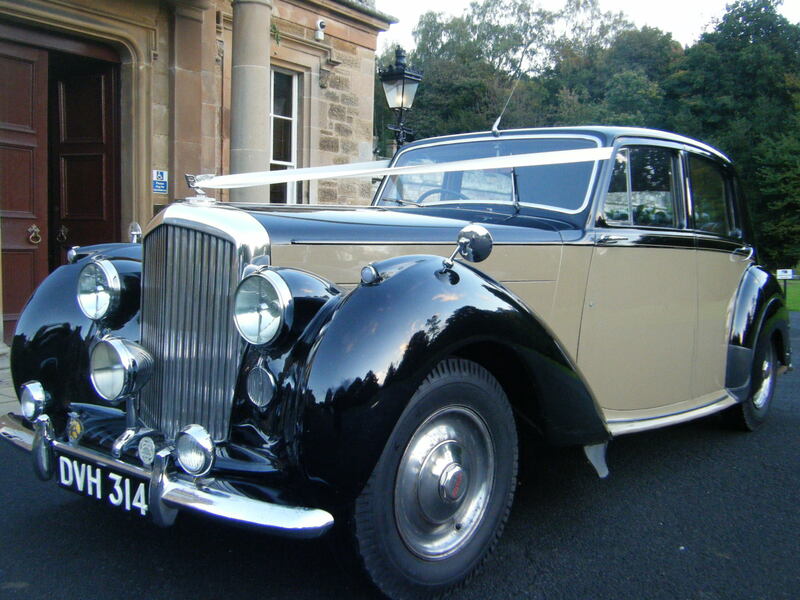 With only 15 known examples left worldwide we are the only company offering a choice of these cars for wedding hire. The Sheerline Limousine has a luxurious interior with extensive mahogany and burr walnut fittings, matching pile carpets, large comfortable seats and a central glass division. The impressive front view is dominated by the Lucas P100 headlights and the imposing chrome radiator. If required Olive can accommodate up to 8 passengers. 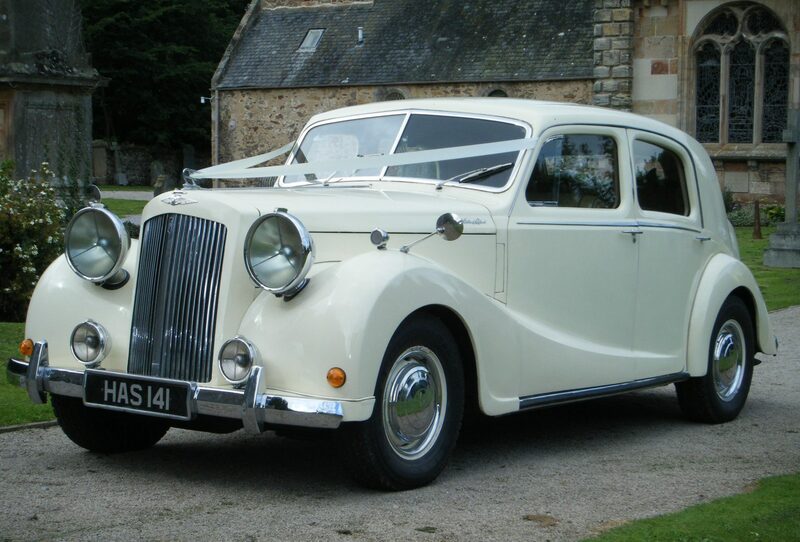 Our 1950 Austin A.125 Sheerline saloon is the perfect classic car for weddings. With imposing art deco styling, all leather seats and mahogany and burr walnut dashboard and door surrounds with pile carpets. There is also generous headroom and legroom in the back. The front view is dominated by the imposing chrome radiator and massive Lucas P100 headlamps. Finished in stunning cream paintwork she is a real ‘head turner’ certain to enhance any wedding. Provides seating for up to four passengers. The Bentley Mark VI was the first post-war luxury car from Bentley and was in production from 1946 to 1952. We have a choice of two examples dating from 1948 one attractively finished in original two-tone black with a beige waistline and the other is dark navy with an ivory waistline. With each car the interior is beautifully appointed with leather seats, fitted carpets, polished mahogany dashboard and door surrounds. Provides seating for up to 4 passengers to travel in luxury. This is our oldest and most prestigious car. 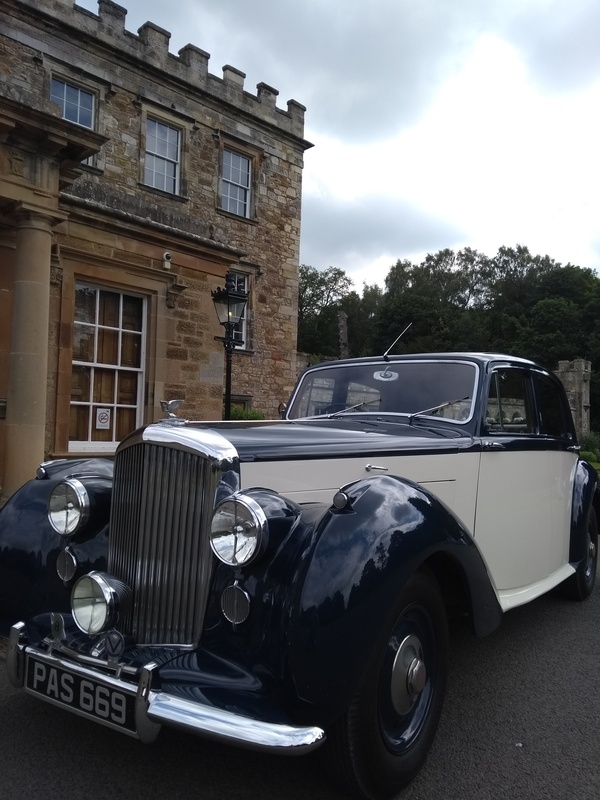 It is similar to King George VI’s favourite car and one just like it was used in the film ‘The King’s Speech’. It is finished in two-tone onyx black and cream, with luxurious cream leather seats. You are sure to make your entrance in style travelling in this 1930’s motoring icon. It will comfortably seat two in the rear, with the front passenger seat available for one if required. Top of the range Daimler Limousine with West of England cloth interior and walnut door trims and dashboard, finished in Westminster blue and cream paintwork. Passengers are seated behind an electrically operated glass division which when employed gives complete privacy from the front compartment. The car also has a flagstaff on the bonnet which gives a clue as to its past history. Originally owned by the City of Westminster this was the official car of The Lord Mayor of London. We have photographs of the car on its way to a state banquet in honor of Nelson Mandela at Buckingham Palace. Perfect as the main bridal car or for bridesmaids and family as a following car. Provides seating for up to 7 passengers. 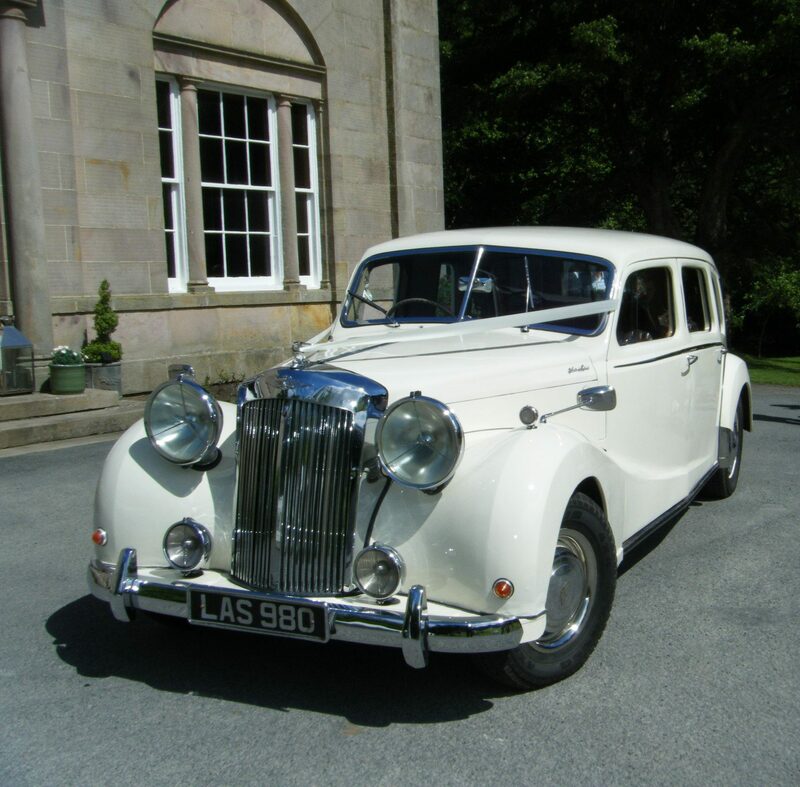 A wonderful British built limousine with ivory coachwork. Often the vehicle of choice for the bride with a very full dress or long train the interior space is unparalleled for both head and legroom. 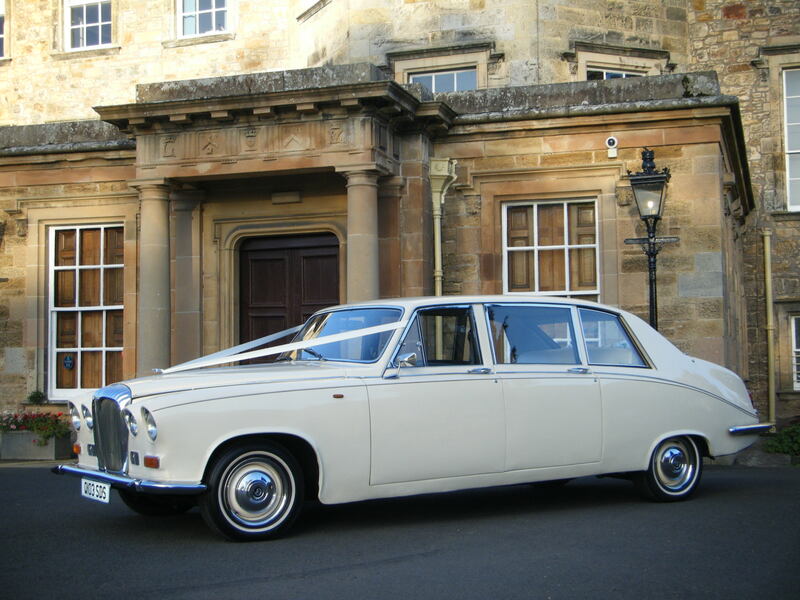 Equally suitable as the bridesmaids car it can accommodate up to 7 passengers with all seats forward facing. This model is finished in gleaming ivory coachwork and pristine leather interior with walnut wooden trim.